No one wants to end life’s journey wondering: Did my life count for something? Did I have a reason for being here? The stories in this book show that for people of all ages, income levels, and expertise, the answer can be a resounding “”Yes!”” From extraordinary examples — relief efforts in the aftermath of Hurricane Katrina or work in refugee camps in Afghanistan — to localized, everyday actions, the authors demonstrate that living a life of service to others, and seeing how lives are changed as a result, establishes the meaning and significance all humans long for. 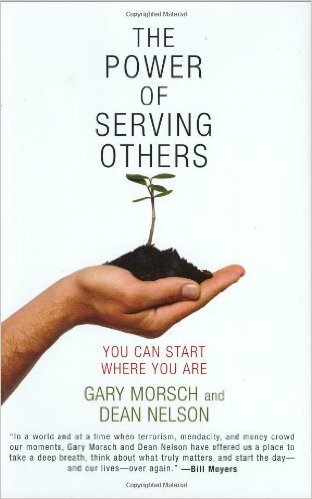 Moreover, the book provides strategies for creating a purposeful life through daily service. The authors prove that the ability to find fulfillment is within reach, and that the discovery is waiting to be made in homes, workplaces, communities, neighborhoods, and schools all across America. You can find this book and Dean’s other works available for purchase from Amazon.